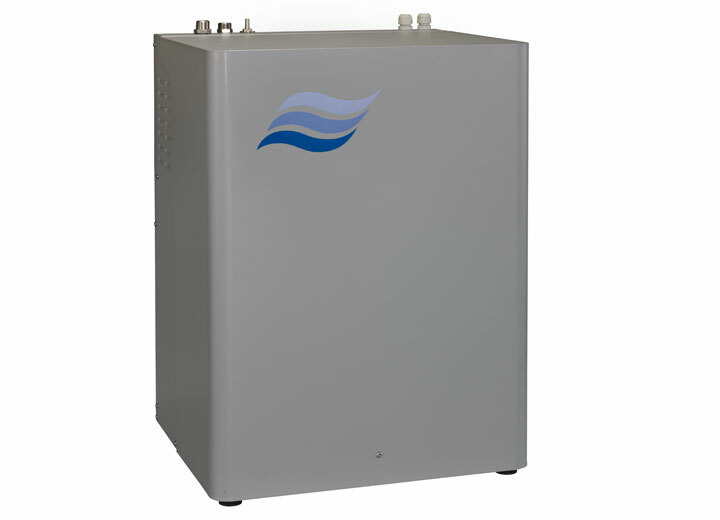 The Condair RO-A is optimized for applications with resistive humidifiers e.g. 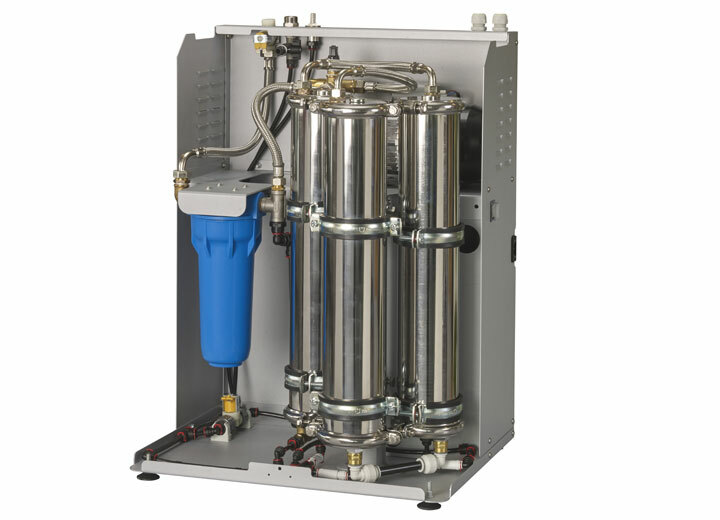 our Condair RS, or with gas fired steam humidifiers, like our Condair GS. 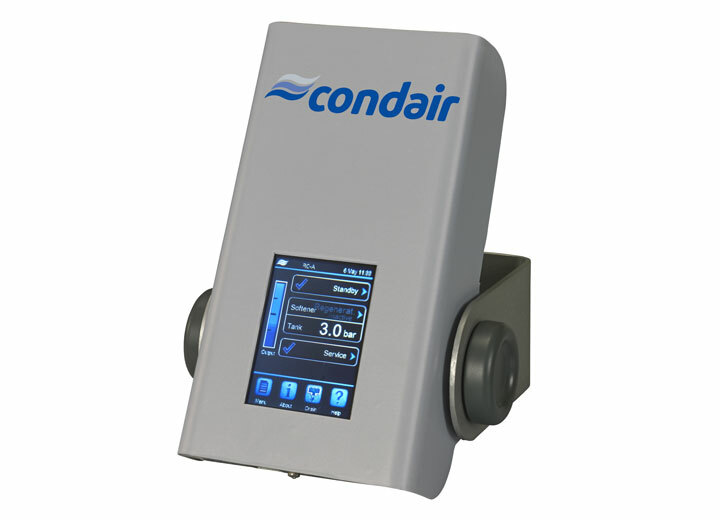 In combination with our own humidifiers, the Condair RO is controlled by their integrated touch screen controller with intuitive menu navigation. 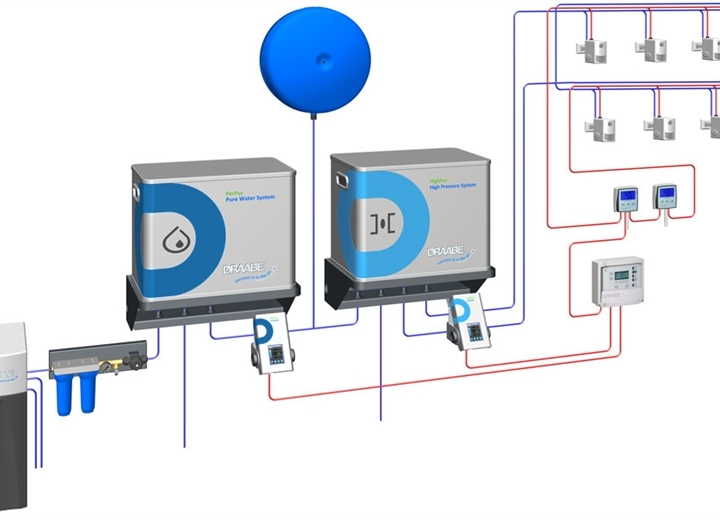 The process data can be stored or transmitted via a MS system. 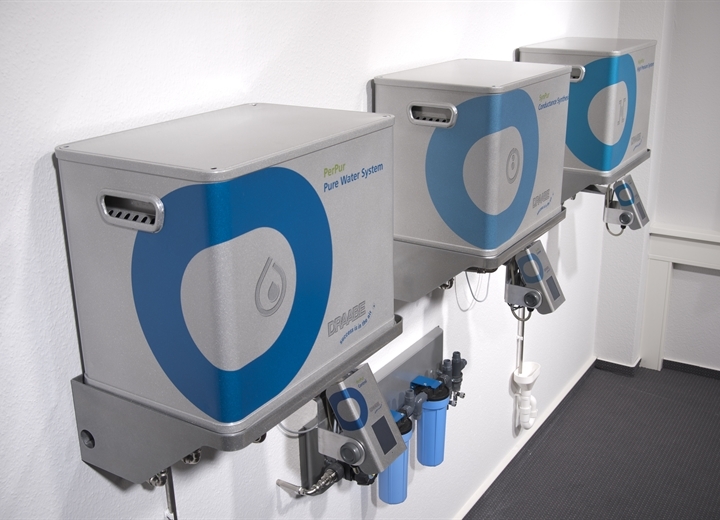 However, the Condair RO can easily be installed, as a standalone version and can also be used in combination with humidifiers from other suppliers. 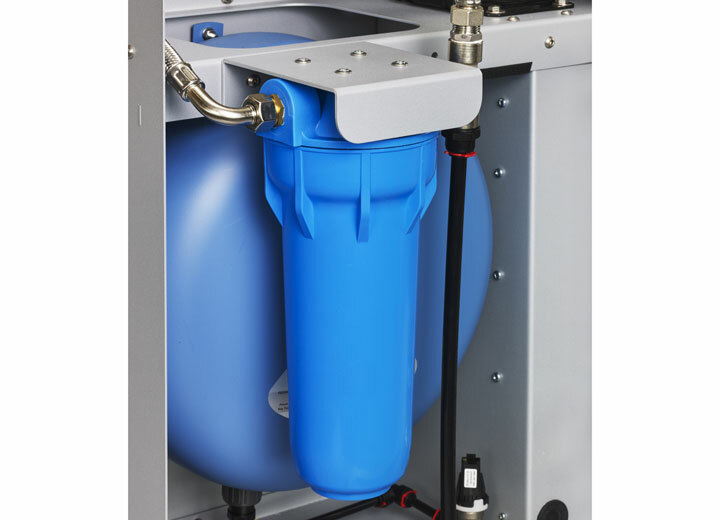 This water treatment unit reduces scale and other minerals down to 1-3%. 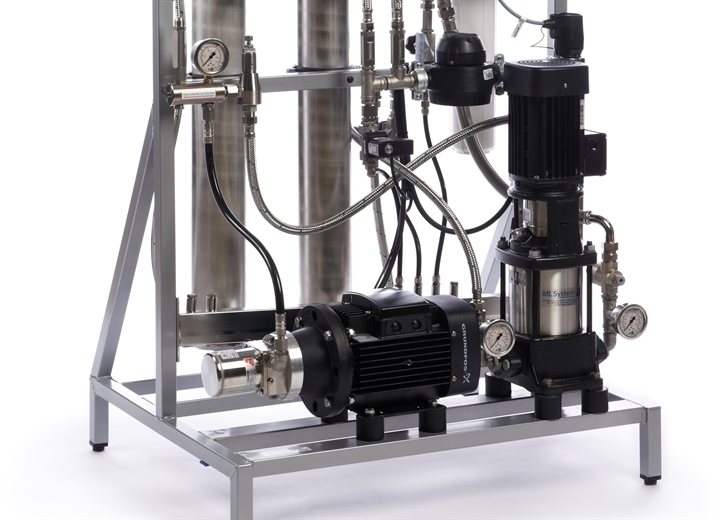 The Draabe Pur water treatment from Condair is especially designed for the high pressure direct room systems NanoFog Evolution and TurboFog. 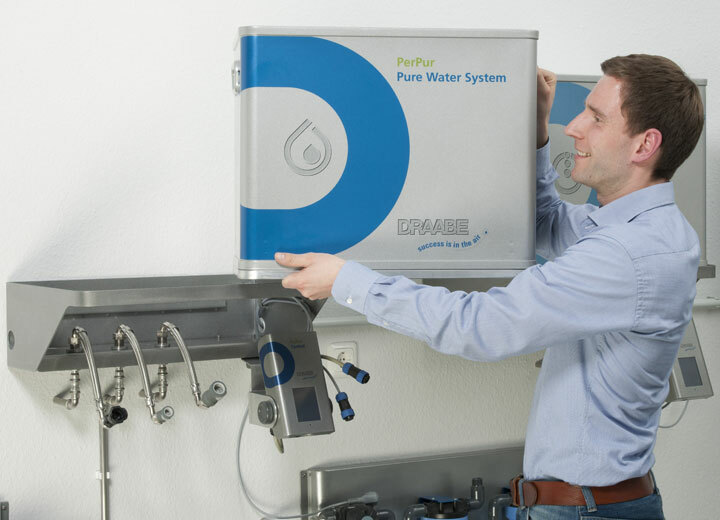 Full performance and the required quality of the pure water can only be achieved through regular preventive maintenance and disinfection. 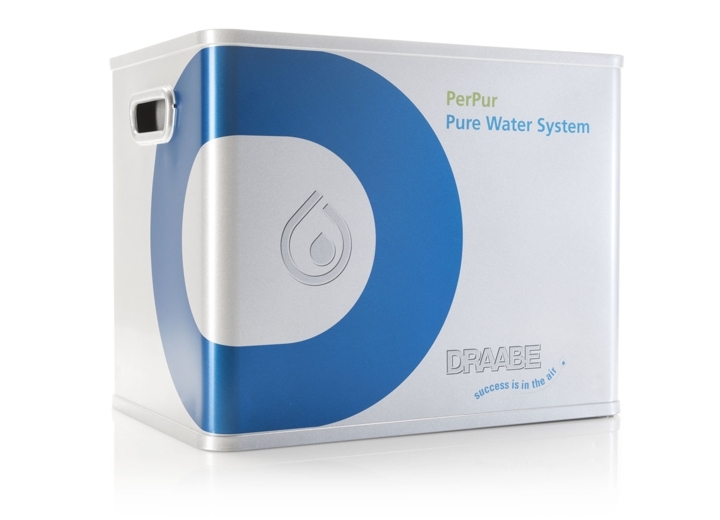 That’s why all Draabe Pur systems are installed in modern, portable small containers. These containers can be disconnected from the wall bracket and exchanged in a few simple steps. 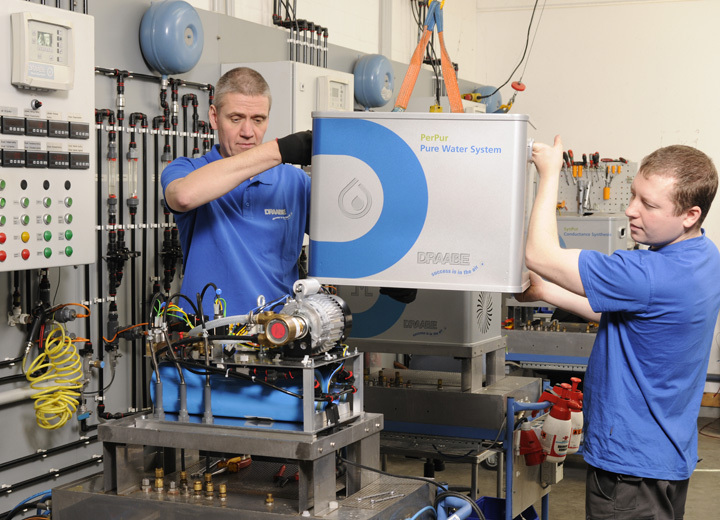 As part of the full-service rental system, Condair takes care of the semi-annual maintenance of the Draabe Pur system. 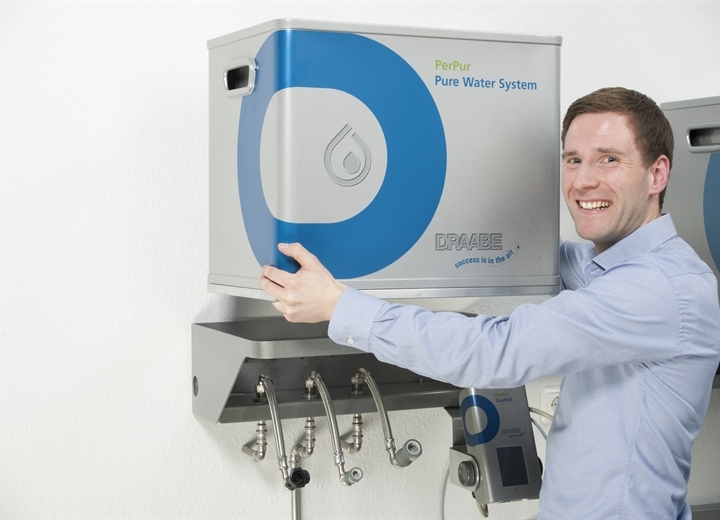 Every 6 months, Draabe Pur customers receive a fully refurbished, disinfected replacement device. 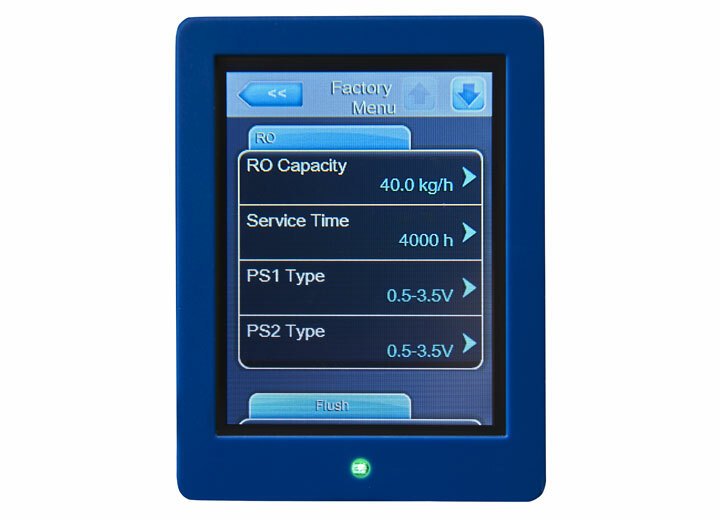 Technical improvements and innovations are retrofitted automatically and free of charge. 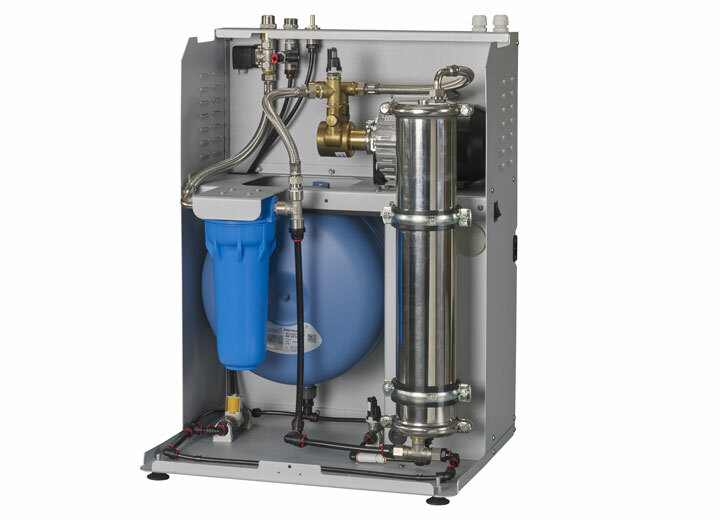 The reverse osmosis unit fitted to the Condair MLP RO removes minerals from the water supply, ensuring trouble-free and hygienic water fogging. The pores of the membrane used are so fine that they can filter out 95– 98% of all minerals and bacteria. 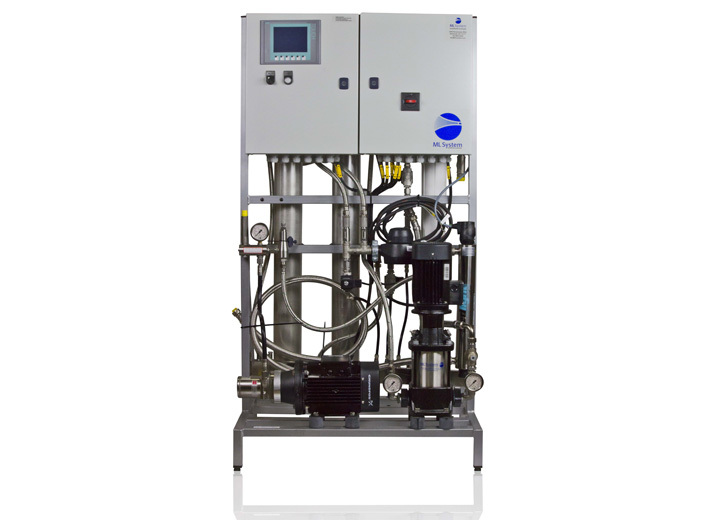 The Condair MLP RO packages the required reverse osmosis unit and high-pressure pump into a single, space-saving system. 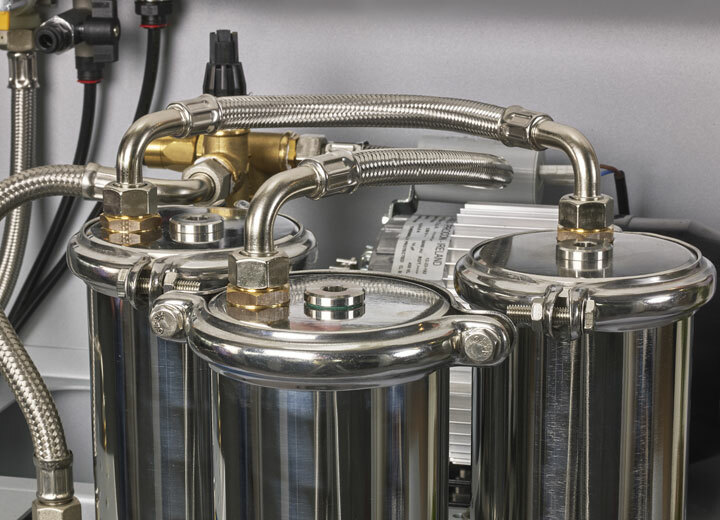 It is compatible with all Condair ML high-pressure nozzles systems. 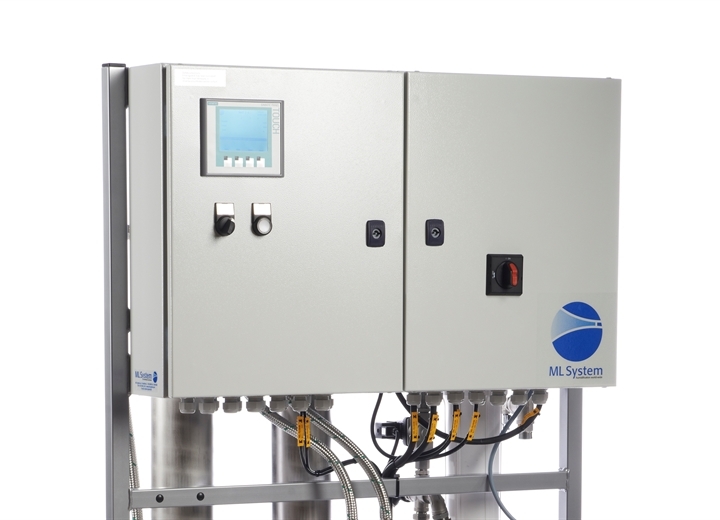 Modules in a range of separate sizes are integrated to match humidification volume – and even highcapacity systems require only a single installation footprint.